The earlier bladder cancer is diagnosed, the more favorable are the chances of survival. A doctor may conduct some tests to diagnose bladder cancer and find out whether it has also infected other organs. Based on the findings and stage of disease a suitable bladder cancer treatment is selected. This article provides you information about what are the methods to diagnose bladder cancer at an early stage and also briefs you about various treatments available for bladder cancer. It is very important to have correct diagnosis of cancer before treating it. It helps doctor to find out the growth of tumor and where exactly has it grown. The bladder cancer early detection always increases the chances of survival. The following are bladder cancer test used for diagnosis. A sample of urine is taken and is examined to find out whether it contain tumor cells or not. It is a key test for diagnosis of bladder cancer. During this test doctor inserts a narrow tube known as cystoscope, with a light and a lens, through your urethra. During cystoscopy an anaesthetic gel is applied so that you don't feel any pain and cytoscope can be passed easily. This test helps doctor to find any abnormal growth of cells inside bladder. This procedure is also known as transurethral bladder tumor resection or TURBT. During cystoscopy doctor may insert a tool through scope into your bladder. If any abnormalities are found a cell sample is collected for further testing. The procedure is performed under anesthesia. In this procedure a liquid drug is put directly into the bladder through a catheter passed through urethra, rather than taking it orally or injecting it using syringes. This procedure causes your body's own immune system to fight against bladder cancer cells. In this procedure drugs are given to destroy cancer cells by not allowing them to grow, in the process stopping their ability to divide and multiply. In this procedure a doctor may give one drug or a combination of different drugs, according to the severity of the bladder cancer. In this procedure cancer cells are destroyed by exposing them to high energy x-rays or some other high energy rays. Radiation therapy can be combined with chemotherapy or surgery. If the bladder cancer is diagnosed in its early stages, then it is easier to control it from getting worse. If there are any serious complications then doctors can explore different options to treat the ailment as it also gives them extra time, which is extremely needed in such cases. The master health checkup by Indus Health Plus is useful as it assesses your overall health and gives your warning beforehand regarding any serious problem. 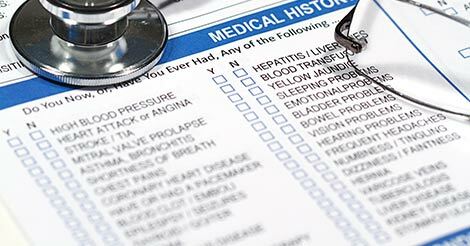 If you want to know more regarding checkup then fill out the form below and get in touch with us.